Just when you thought you were beginning to understand the concept of bi-folding doors, suddenly there’s a new technology on the scene: New Wave doors. 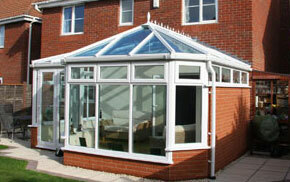 Both products have caused a lot of debate amongst homeowners so what exactly is the difference between the two? Essentially, both products operate on the concept of providing flexibility in opening options, but the way they go about doing this is very different. 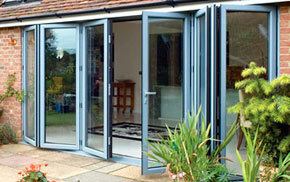 We’ve compiled a handy comparison below for you to decide which type of patio door is for you. Bi-folding doors, also known as sliding folding doors, have become a popular alternative to in-line patio doors due to their high aesthetic features and qualities. 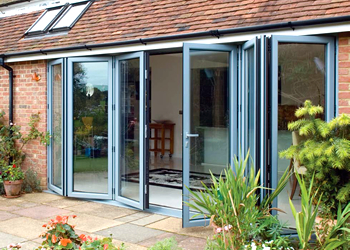 With the concept dating back thousands of years to paper screens used in ancient China, recent progression in technology has meant that strong, and relatively affordable, aluminium bi-folding doors are now a possibility. As the name suggest, Bi-folding doors are designed to come in pairs, but the term is used very loosely to describe a range of set-ups. Many different combinations of doors, with different folding actions can now be manufactured. Popular systems include those where two doors can fold to one side, four doors can be split in the centre and two doors can fold back to opposite sides. Mounted on a simple track system, bi-folding doors fold up, a lot like the bellows on a concertina, allowing you much more flexibility in deciding how much of your room you open up. You can open as little or as much of the door as required, enabling you to fit the door to your own preferences. In effect, part of the appeal of bi-folding doors is their ability to almost seamlessly merge home and garden environments together, allowing you to bring the outside, inside and vice versa. An incredibly popular product, bi-folding doors are completely revolutionising the way that we think about the borders of spaces. 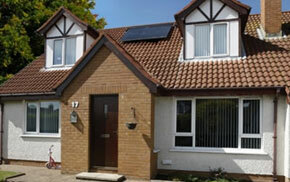 New Wave doors are one of the latest developments in patio door technology. They work by utilising the simple, but amazingly strong power of magnetism. New Wave door panels are attached to the door frame by incredibly powerful magnetic strips. Each leaf is then able to effortlessly slide along the track for a seamless opening and closing motion. Once slid into place at the end of the track, they can then be swung outwards to stack neatly against the wall. Aesthetically, all of the fitting parts are concealed within the design. This creates a product that is attractive and at the same time, practical. Thanks to the high quality design and manufacture, high-quality New Wave doors are incredibly weather-tight and thermally efficient, enabling you to save a lot of money on fuel bills and the cost of heating your home. The possibilities that New Wave doors hold for installers, and the customer, are very exciting, with the potential to once again change how we think about the boundaries between the home and the garden. Offering you the option of opening as many or as few panels as you would want, in whatever place along the track you would like, this type of patio door has a versatility that a lot of other doors lack. 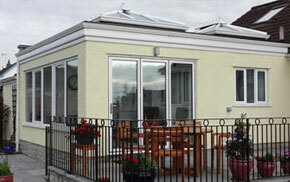 It truly can be customised to suit your needs, easily.